Ummm a year ago I declared I would have a Crown Lynn garage sale. Almost finished sorting then ran out of steam so I still have my boxes and boxes and boxes... Poor George they have invaded his shed! 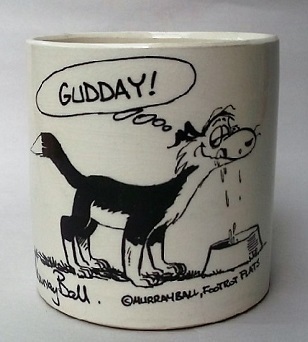 And now of course I have my growing collection of other commercial potteries. I knew there was a reason we got a big house when at our age we should be downsizing. Hi Ev, you are not the only one! 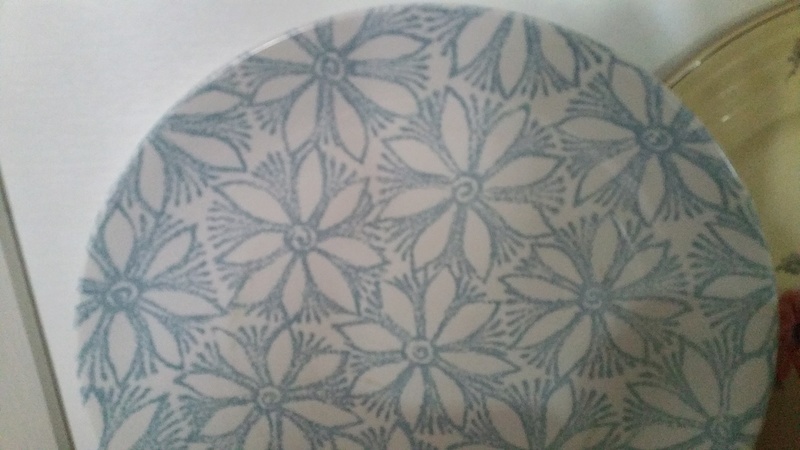 Just yesterday I managed to find two white forma dinner plates, an Apollo dinner plate with a pretty flower pattern and a Landscape serving bowl. All 50c each. I am incurable! "Now that's what we really need, another coffee mug!" I collapse into a heap of laughter. Or " Oh wow another vase, yes we could do with another vase!" He knows how to make me laugh. Seriously though it has to be better than a lot of other addictions ae and it's a lot of fun that doesn't cost the earth if you don't let it and you learn something new every day and meet some great people too! my MM complains about the stash, then while we are away he buys me a cup and saucer of Keriblue that I really liked. Cannot work him out! 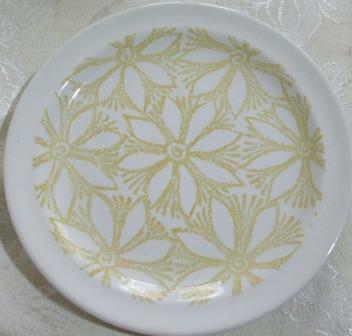 Clematis pattern in brown on a fluted/Apollo ware. 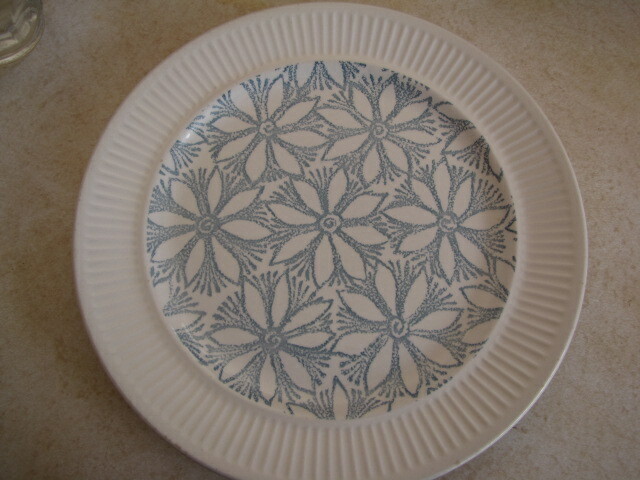 I have just purchased this pattern in blue on a coupe plate. Ie the pattern goes to the edge. I can't find any reference in the museum notes as to the name of the clematis pattern in blue. Clematis Blue on a fluted plate is Hazel but on a coupe plate? Blue Clematis on a coupe plate is called ??? The Blue version on a fluted plate is Hazel. This one will have to go into the no name gallery. Looking back in June last year, I never posted a photo opps ! !